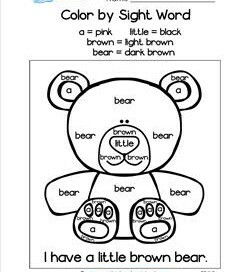 Kindergarten sight words are the words that are recommended for kindergarteners to learn first. They include Fry words and Dolch sight words. You will find one section dedicated to Dolch words and one to Fry words. 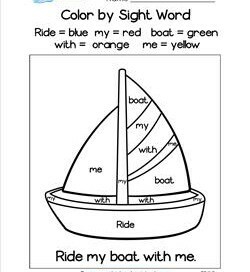 The other sections are a compilation of these sight words used in a variety of sight word worksheets, color by sight word worksheets, and emergent reader booklets. Dolch words have a list of 40 words called pre primer sight words. 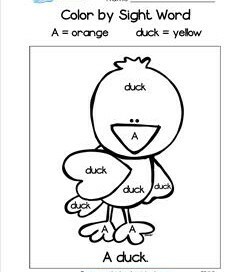 Those are included in this kindergarten sight words section as well. CCSS Standards vary by resource. Check each worksheet description for the applicable standard. 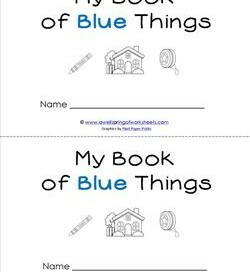 Here’s an emergent reader text about blue things: The crayon is blue. The radio is blue. The yo-yo is blue. The house is blue. Have fun reading and coloring! Red is the best! Especially in an emergent reader text! 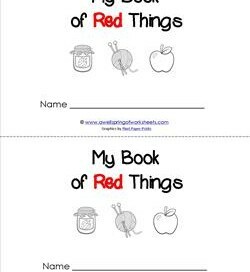 Here you’ll read about yarn, jelly, an apple, a flower, and a zipper all being red. 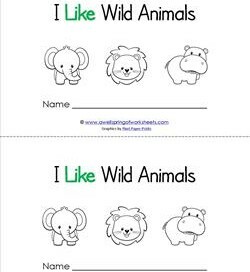 This emergent reader talks about wild animals, but they look sweet and docile. They include elephants, lions, hippos, giraffes and zebras. Have fun reading. Now this is a fun emergent reader. What kid doesn’t like bugs? You’ll see an ant, a spider, a worm, a ladybug, a grasshopper and a caterpillar. Now this emergent reader is cool! 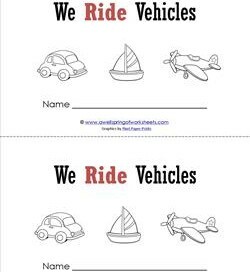 The text reads, “We ride in a car.” And in a train, and a plane, and a boat, and a rocket, and even a blimp! Somebody’s lookin’ at you! 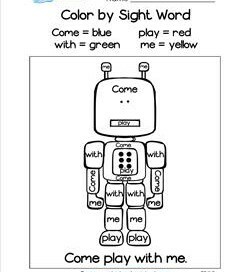 This little cutie is going to wiggle his tail for you as you color him in by sight word. 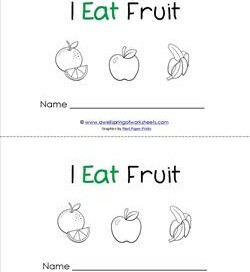 Only 2 sight words on this worksheet. Color him cute! 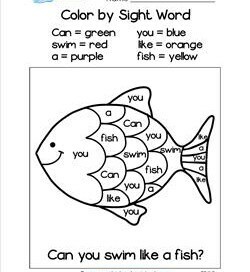 Color by Sight Word – Can You Swim Like a Fish? Keep on swimming, keep on swimming … and color by sight word! Green and red and purple and blue. He’ll be shimmering – and swimming – in no time. Can you hear this little guy say, “Come/ play/ with/ me” in his robotic way? 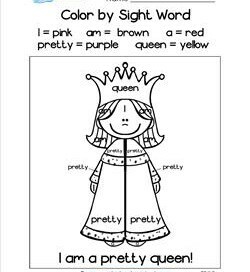 Well, grab your crayons & come & read & color by sight word, & … play! 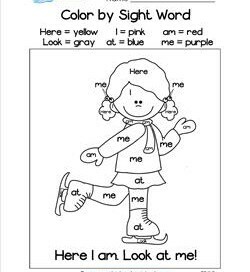 Color by Sight Word – Here I Am. Look at Me! Don’t kids say this all the time? “Look at me! Look at me!” Well now they can color it, too. 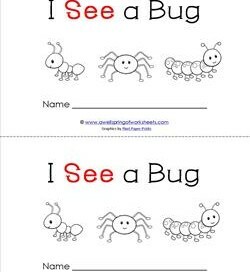 Kids read the sentence, color by sight word, then look at what they’ve done. Forget the princess stage, this little charmer is going straight for the top! Doesn’t she make a nice queen? And a pretty one at that! 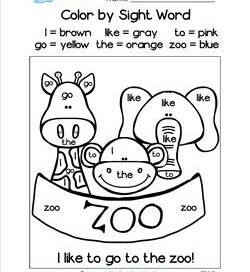 Color her by sight word. 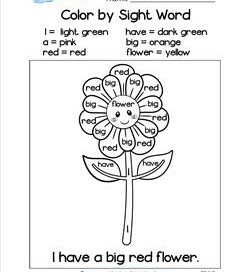 When you’re done coloring by sight word, this flower will not only be red, but orange as well, with a yellow sunshiny middle. Love those nice fiery colors. The zoo is such a fun place to go, but not today. Today you just get to color by sight word. Almost as fun … well, sort of. Make the animal sounds instead. 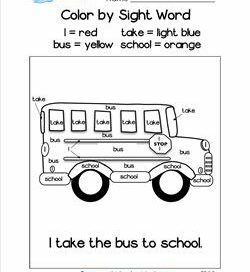 Some kids do take the bus to school, and some don’t but all the kids can color this bus by sight word. Try to stay in the lines. Keep the bus driver happy!